Our open mornings are held once a term on a Saturday. When you visit on a Saturday, you can inspect our classrooms and facilities, it’s much quieter than a visit during the week, but you won’t get to see the whole school in action. You are also welcome to visit during the week when the students are at school and the whole school is busy. We will make an appointment for you and your family to meet with Cameron, our principal, to ask any questions you have and tour the school. Our address is 836 Mulgoa Rd, Mulgoa. From the M4 Mulgoa Rd exit at Penrith, it is a 5 minute drive to the school gate. 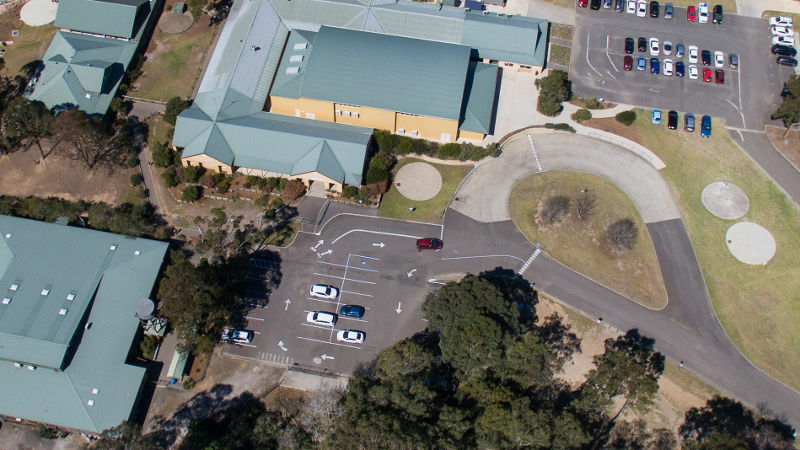 We have ample parking for visitors directly outside our main administration building and primary classrooms. Get in touch and our friendly staff will contact you to arrange a time for your family to see our school. Please call me about doing a school tour.